High-quality soy protein concentrate with a value exceeding 80%. The product does not contain lactose thus ideal for use by people who are allergic to it. 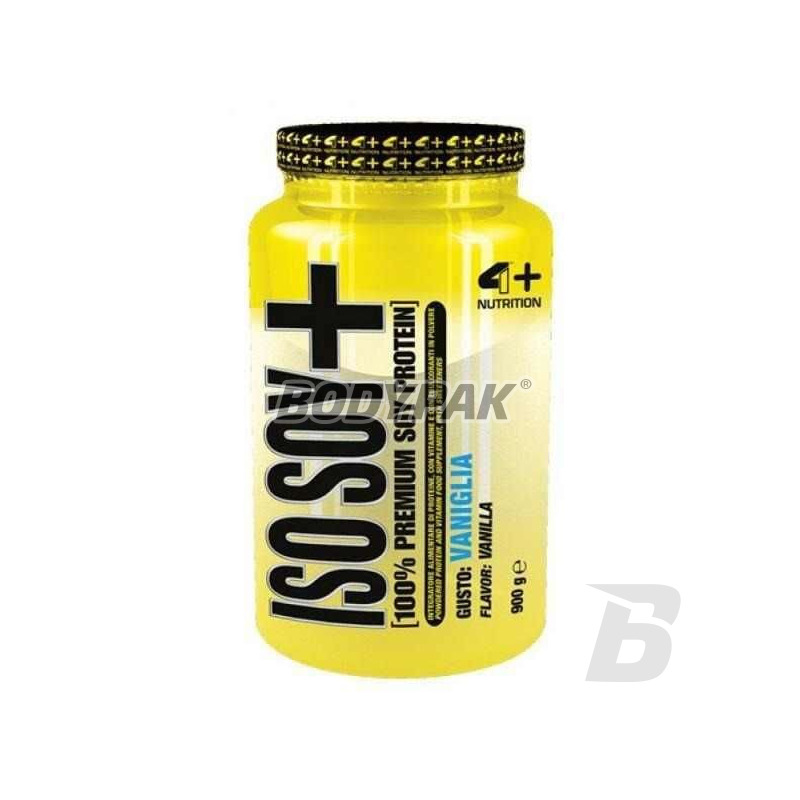 4+ ISO SOY + is a soy protein concentrate with a value exceeding 80%. The product does not contain lactose thus ideal for use by people who are allergic to it. 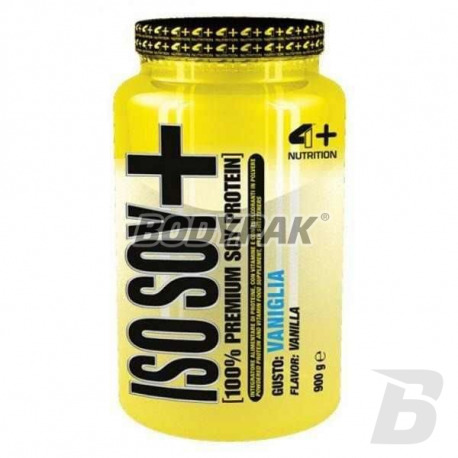 4+ ISO SOY + is a great alternative for people who want to enjoy the slim and muscular silhouette and do not want to reach for the protein of animal origin. Soy protein has received the highest assessment of the quality of the WHO (World Health Organisation) due to a high content of glutamine, arginine and BCAA, in addition to this assessment affect the method of extraction and processing.